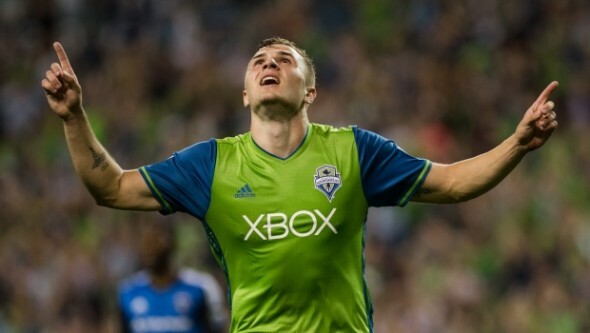 The Sounders confirmed Monday that attacker Jordan Morris will not play during the 2018 season after tearing the ACL in his right knee in El Salvador. Sounders striker Jordan Morris will miss the entire 2018 season after tearing the ACL in his right knee during a CONCACAF Champions League game Thursday in El Salvador. The injury occurred in the 85th minute of Seattle’s 2-1 loss to Santa Tecla FC. Morris’ father, team doctor Michael Morris, made the ACL tear diagnosis immediately. Club general manager Garth Lagerwey confirmed Monday morning that Morris, 23, would not play, and that he seeks an attacking forward to replace Morris. The Mercer Island native has 15 goals with five assists during his two seasons with the hometown team. He was MLS Rookie of the Year in 2016. He missed the end of the 2017 MLS regular season with a hamstring injury. The Sounders open the MLS season March 4 against Los Angeles FC at CenturyLink Field. So…what’s Oba doing right now? He apparently signed another one-year extension with his Chinese club in December, rumored to be 9 million euros. https://www.metro.us/sports/source-obafemi-martins-signs-extension-china The Sounders could do worse than tapping into South America; MLS is gaining credibility there and the young players are far more affordable than their European counterparts. The team Dr has job security with his son on team.